Xtrii's experts have extensive experience as global CIOs, CTOs, CEOs, and renowned business leaders. Unlike other technology consulting and management firms, each of our technology leadership experts have been successful CIOs and have far superior hands-on, real-world experience. Our proven technology experts have helped some of the world's best organizations achieve extraordinary, market-leading success. ​"The only source of real knowledge is experience"
There is no substitute for hands-on experience. 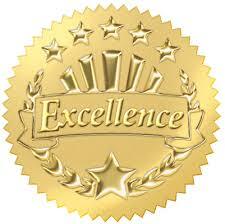 ​We transform mediocrity into EXCELLENCE, and turn ordinary technology into eXtraordinary technology. Ask potential firms about their results, and then compare it to Xtrii. ​We have provided the leadership that rebuilt previously underachieving Information Technology organizations, and transformed their company's Information Technology into the top Information Technology organization in their industry... one of our successful transformations resulted in a 4-time repeat, national award winner for the top Information Technology organization! "Other firms merely brought their generic advise and cookie-cutter templates, but Xtrii is the one that helped us take the right actions to create an excellent technology organization"
​Unlike other firms, we don't sell hardware or software. 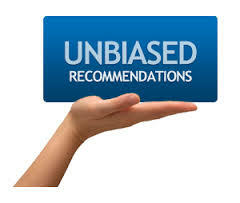 Our unbiased recommendations are based on a thorough understanding of your particular business needs and environment, and the solution that is the best fit for you. The most important ingredient?... People. It's takes the right people to properly lead the changes required to achieve excellence. In order to build a great technology team, you must have all of these factors aligned and performing at their optimal level. While our process improvement and technology expertise are eXtraordinary, our People clearly differentiate us.